The flue system selected was a stainless steel fully welded twin wall 4 hour fire rated system with 30mm insulation. Airtherm provided a cost-efficient solution for the client and furthermore we exceeded their expectations when our tender was some margin under the original budget offered by the Hamworthy flue division. 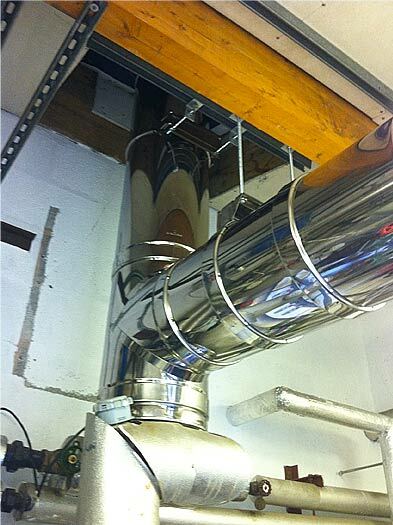 The flue system installed comprised of a 2.5m horizontal run and a 3m vertical, incorporating the necessary drains to allow any unwanted condense to evacuate the system.